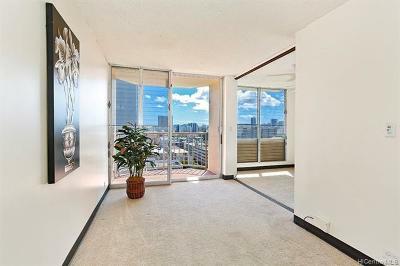 Village Maluhia is located at the corner of Pensacola and Davenport Streets in Makiki, Village Maluhia is a convenient location for residents working in downtown Honolulu, Ala Moana and Ward Avenue. It's an accurate description for Village Maluhia. 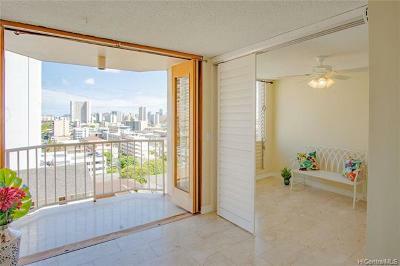 Situated on a side street in Makiki, it's a quiet, comfortable condo with a garden setting near the lobby and common areas. 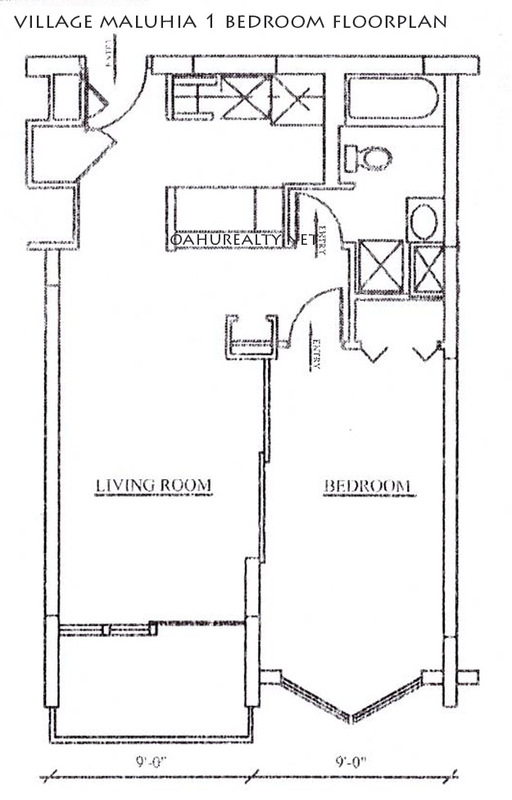 The property is distinctive for the blue trim that runs along its roof. Village Maluhia is comprised of two buildings, a low rise structure five stories tall and a high rise that's twelve stories tall. 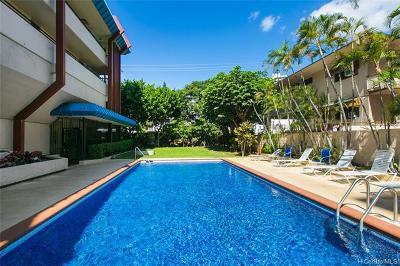 Amenities of the building are a swimming pool, air-conditioned weight room, a convenience store and hair salon. 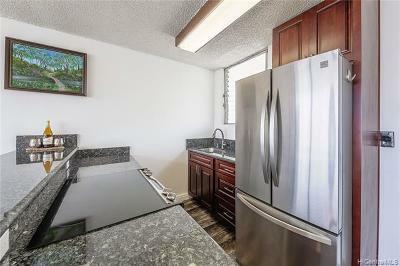 Monthly maintenance fees include electricity, cable tv and hot water. Washers and dryers are allowed in the units. 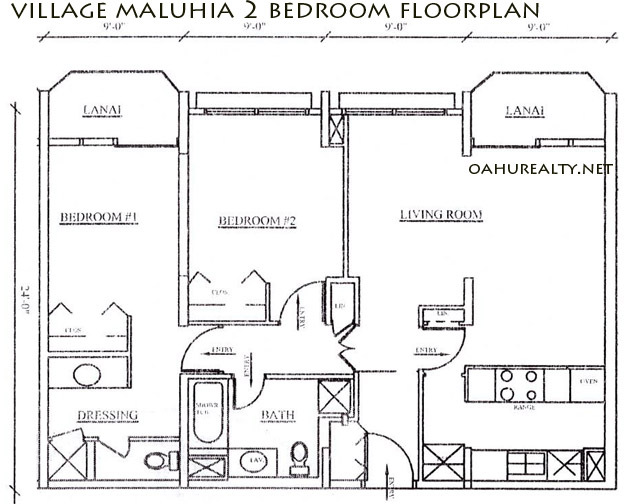 Village Maluhia condos are a mix of fee simple and leasehold. 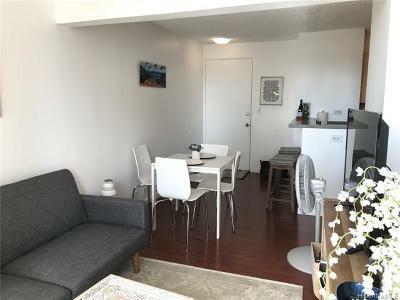 Leasehold units have the "fee available" from the lessor. The lease expires in the year 2054. Buying fee simple is more expensive, it also means no worries about buying the fee later.